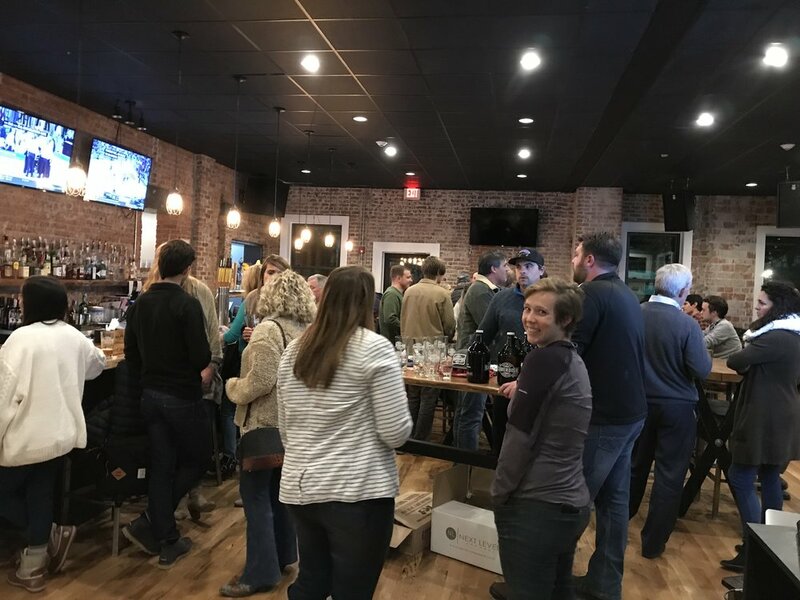 40+ entrepreneurs, students, business owners and community members gathered at Ransom in downtown Boone for our November monthly Startup Social last night! Ransom provided drink tickets for everyone in attendance as well as an awesome spread of appetizers and pizzas! 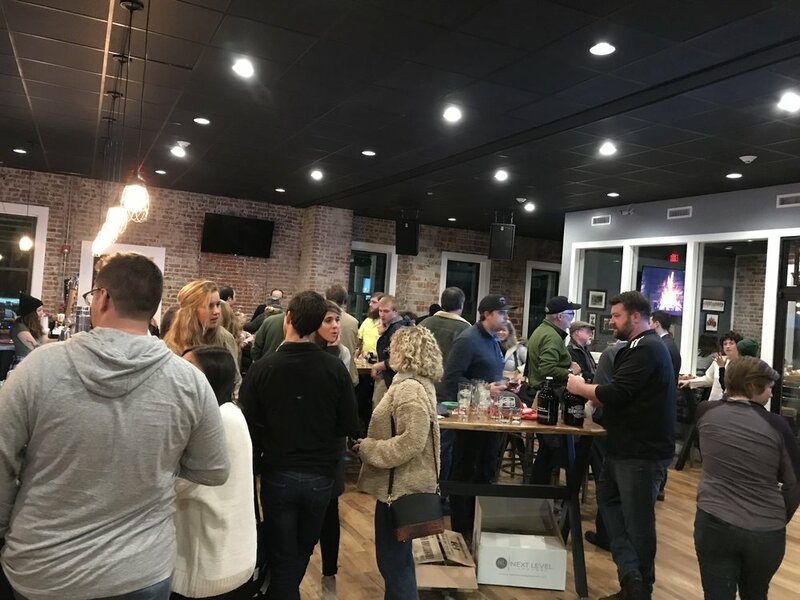 Folks were able to mingle and network for the majority of the night. We were thrilled to have Andy from Cavendish Brewing Co. out of Gastonia, NC. 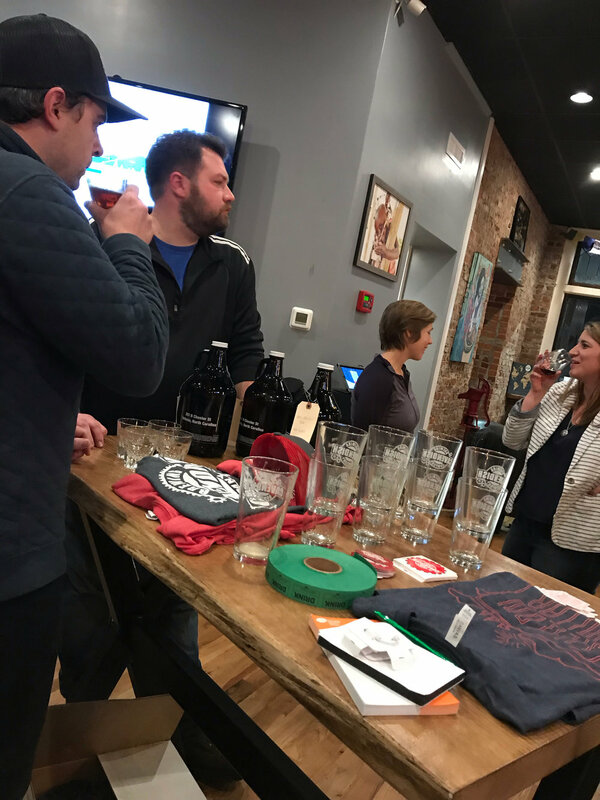 Andy shared some information about the brewery and also shared samples with everyone. Stop by Ransom to try one of their beers on tap now! Sam, Startup High Country (SHC) team member welcomed everyone and thanked Ransom for their great hospitality. He also invited everyone to attend our upcoming Year End Community Celebration at the Blowing Rock Legion on December 6th from 6-8:30 PM. Everyone is invited to attend and celebrate all of the great successes Silicon Hollar and Startup High Country have accomplished this year! We are excited and honored to announce that our special guest speaker for the Year End Celebration will be Thom Ruhe! 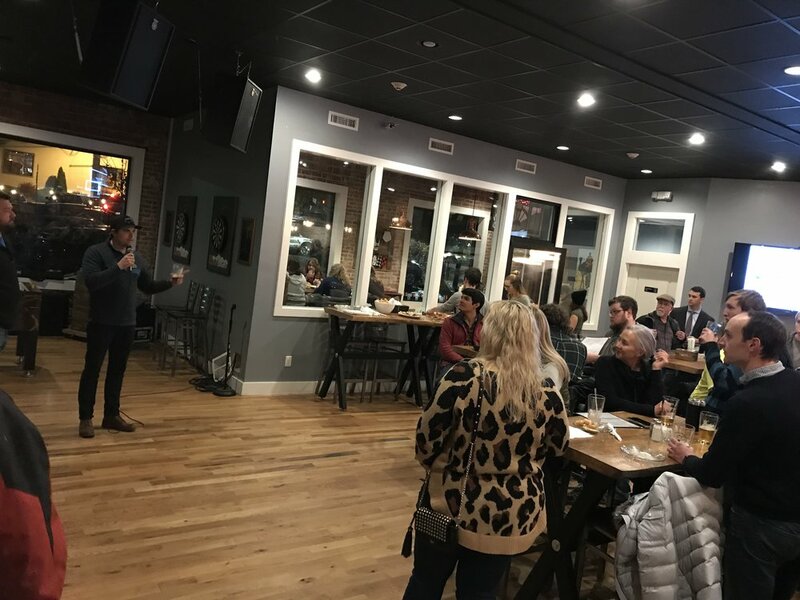 Carolyn Clark, Communications Specialist & Consultant announced that Ransom will continue to host our Silicon Hollar weekly Pop-Up Coworking sessions through the month of December! We are so excited to share their awesome workspace with entrepreneurs, dreamer, thinkers and doers for another month! Our next coworking session will be on Thursday, November 29th from 8 AM - 2 PM, join us! Learn more here. 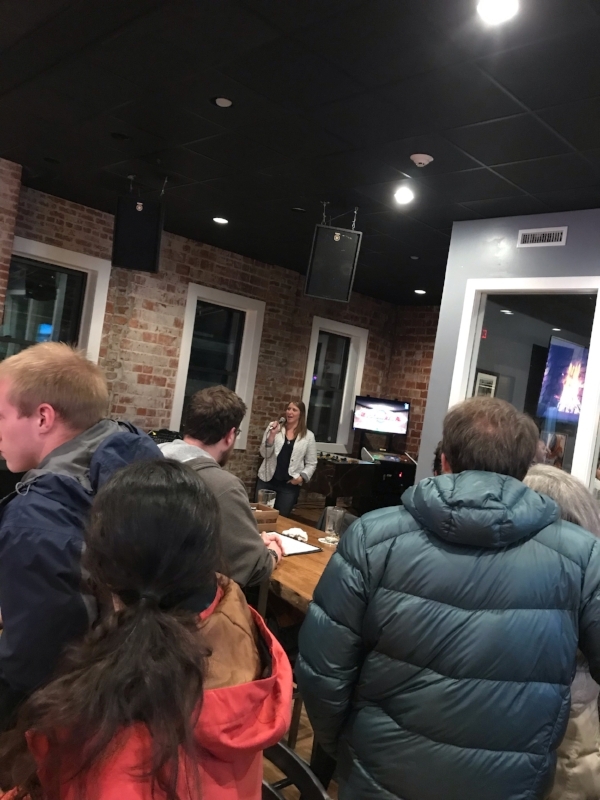 Angela Heavner from 180 Float Spa pitched their upcoming December 12th Boone event, showcasing their Local Public Offering (LPO) and hosted by Mountain Bizworks. Get details about this event by visiting, https://www.180floatspa.com/ and signing up for Event Details! 180 Float Spa is offering you the opportunity to invest in your wellness and our community through a LPO. 180 Float Spa is only the second LPO to be approved for Investment crowdfunding in NC! Learn more about investing here. Kat Dolan, Performance Poet & Mental Health Advocate from local nonprofit, Out of Your Mind discussed upcoming Open-Mic events and opportunities in Boone! The next Performance Poetry Event is “Get Lit,” at Boone Saloon on November 28th from 7-10 PM and Kat is the Featured Performer! Learn more here. We would like to thank Ransom again for hosting and providing an awesome Startup Social atmosphere this month! 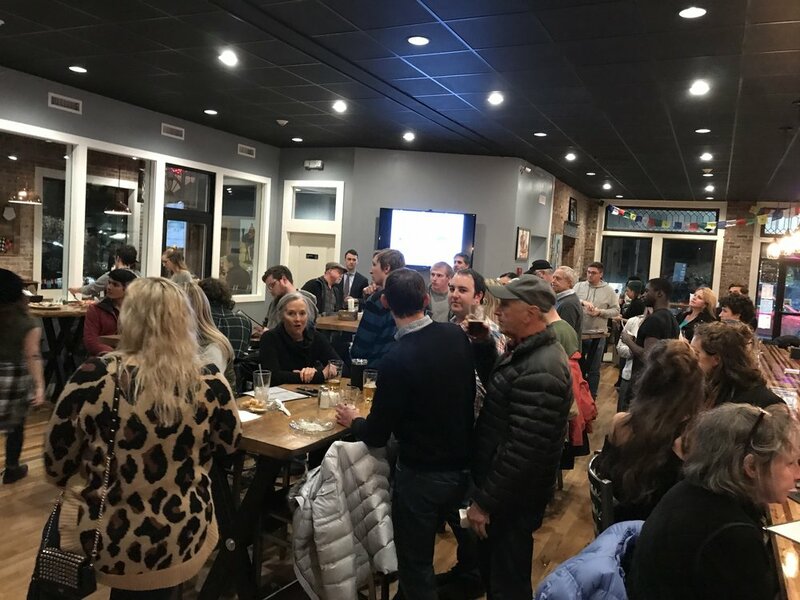 Our next Startup Social will be combined with the big Silicon Hollar Year End Community Celebration on Thursday, December 6th from 6-8:30 PM at the Blowing Rock Legion! Please RSVP here. View more images from last night by clicking through below!